Christmas is a time of the year when our minds are especially full of countless lists. As always, one of my goals is to look at options for staying organized this Christmas. ,Now I am not saying you need to be super organized with every little detail, but instead, organize one thing. Putting together systems can be key to helping reduce the overwhelm. As I thought about the holiday season, I asked myself what I could create a system for. One of the first things was gift wrapping. My gift wrapping supplies were all over the place and anything but organized. After thinking about what would work best, I went to work! 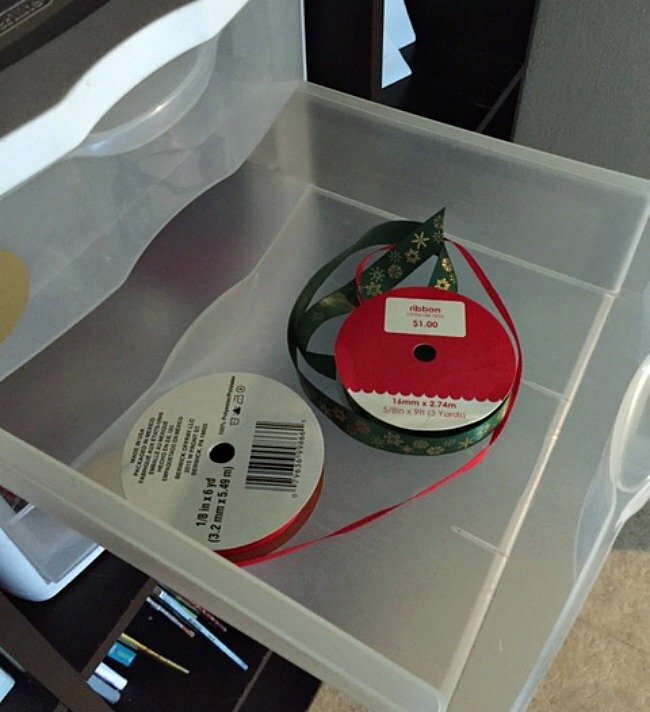 Check out the 3 easy steps to create your own wrapping station to help you stay organized! (1) Decide where your wrapping station will be and what container you will use. Since our house is smaller, we do not have a lot of extra space. I decided to put my wrapping station on our cube shelf. There is tall container holding the wrapping paper in the hall closet. I like to use a 3 drawer storage container for my station as it is small and creates instant organization. 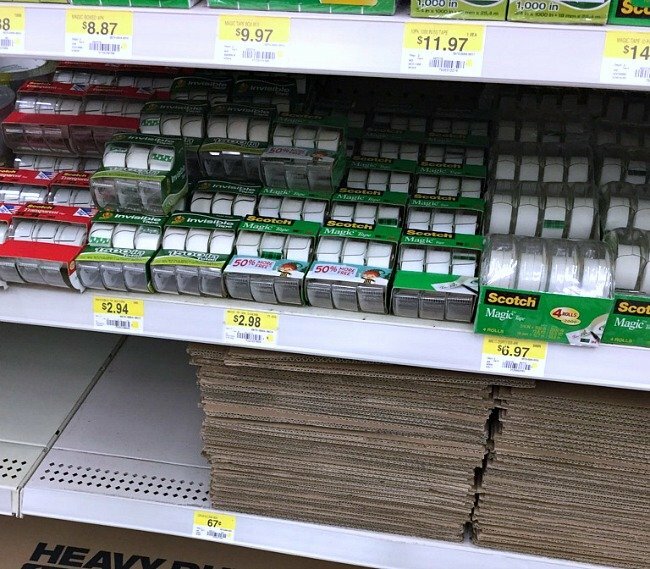 (2) Gather the tools you will need from Walmart. Generally, you will need tape, scissors, wrapping paper/bags, tissue paper, ribbons, and gift tags. 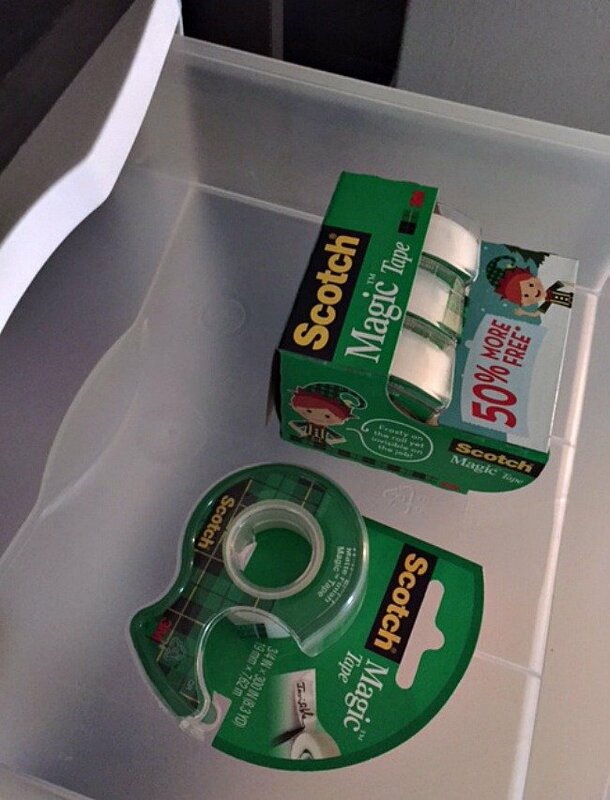 I love using Scotch® Magic Tape and am stocking up on Scotch® Brand now so I can save a 50% bonus and Rollback. I used labels to put on the outside of each drawer. Personally, labels help focus me and remind me of what the purpose is. In the top drawer I keep my Scotch® Magic Tape and my Scotch® Magic Tape Caddie. Then the ribbon, and finally the gift tags. 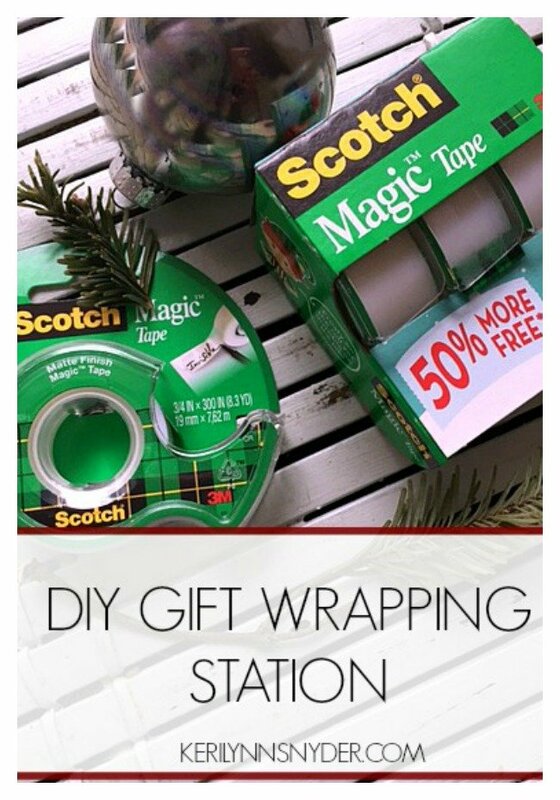 Side note: If you need cute gift wrapping ideas, check out Scotch® Brand’s Instagram. Having this station set up in our home has been such a time saver. When I have a few minutes I can quickly wrap some gifts and it is also good for those last minute gifts! Immediately after creating this station, I felt more relaxed knowing there was some system in the madness! My kids are enjoying it as well and seem to find many reasons to be wrapping a present for others. What about you? Do you have a gift wrapping station set up? If not, I encourage you to set one up. Don’t forget to grab your Scotch® brand products as they are donating $200,000 to Fisher House Fisher House, a charity that provides a network of homes for military and veteran’s families to stay at no cost while a loved one receives treatment, this holiday season. It is the perfect way to wrap, give, and repeat as you wrap your presents this year.